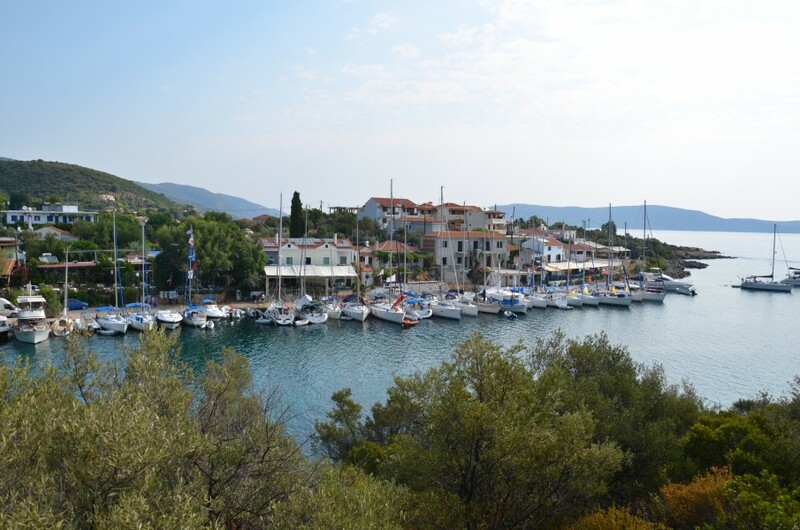 This route starts and finishes in the village of Orei on Evia Island. 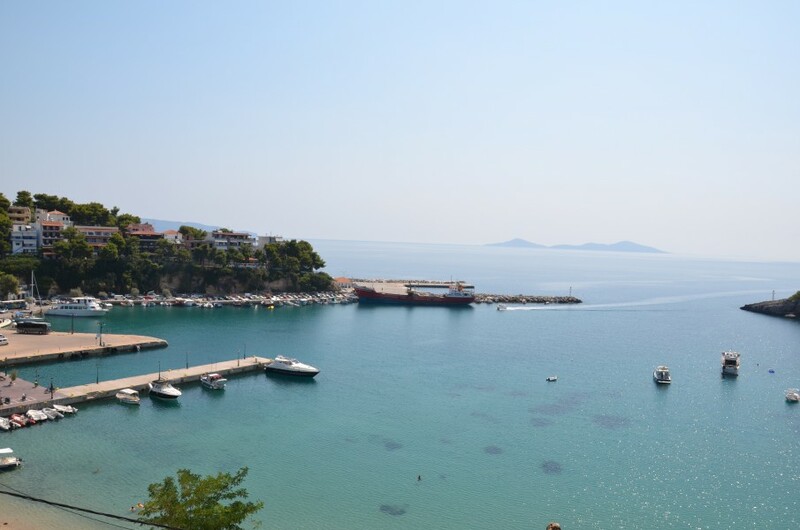 You might visit the Gulf of Volos, before heading east, to the islands of Skiathos, Skopelos, Alonissos, Kyra Panayia, Peristeri and Skantzoura, depending on the direction of the wind. This flotilla route retains our normal balance of larger villages, with their hustle and bustle, and smaller settlements with just one or two tavernas. With the stunning clarity of the water and the beautiful bays in the more remote islands that lie further east, our favourite feature of this route is spending the occasional night cooking aboard, rather than dining ashore. These nights are spent anchored in uninhabited, sheltered bays, with just the twinkle of starlight above you. The only sound is of water lapping on the beach and the tinkle of bells from wandering goats! This is a most satisfying and relaxing way to enjoy these outer islands. The regular summer Meltemis (strong wind) mean that this route is best for keener sailors and for those who have a few flotillas under their belt. 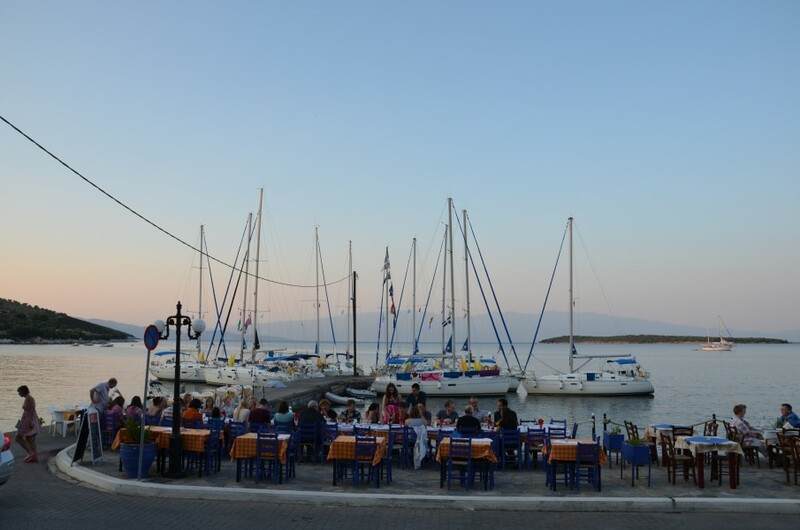 From Athens we transfer you to Arkitsa in the North Evia Gulf where the coach will drive onto the ferry for a delightful 45 minute crossing to Evia Island and on to our base in Orei Town. 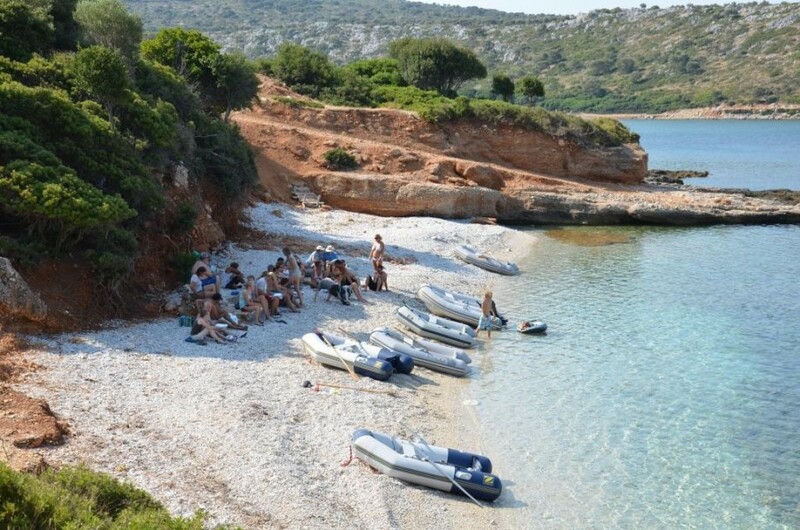 Your yacht and our team await you there, as does a drop of cold refreshment! With the stunning clarity of the water and the beautiful bays in the more remote islands that lie further east, a feature of this route is spending the occasional night cooking aboard, rather than dining ashore. This will not be every night and most of the time you will be tied to a quay, with a taverna in easy reach. However, these nights spent anchored in uninhabited, sheltered bays, with just the twinkle of starlight above you are something quite special. The only sound is of water lapping on the beach and the tinkle of bells from wandering goats! This is a most satisfying and relaxing way to enjoy these outer islands. Those of you who have yet to experience an evening at anchor and dining in the cockpit by candlelight will savour the silence. Another advantage of this flotilla is having the flexibility to spend time ashore soaking up the culture, history and wonderful views that the hills have to offer. 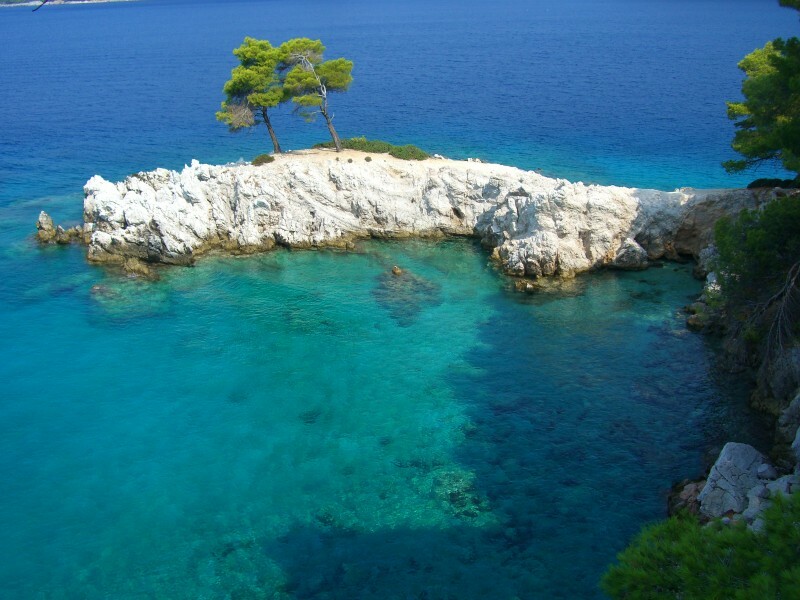 The beaches on the south side of Skopelos have the finest white sand you will find anywhere! And the village of Loutraki is a treat. The spectacular Church of St John’s (better known as the church nestled precariously on a rocky outcrop in the Mamma Mia movie), has been an instant hit, especially with the teens. 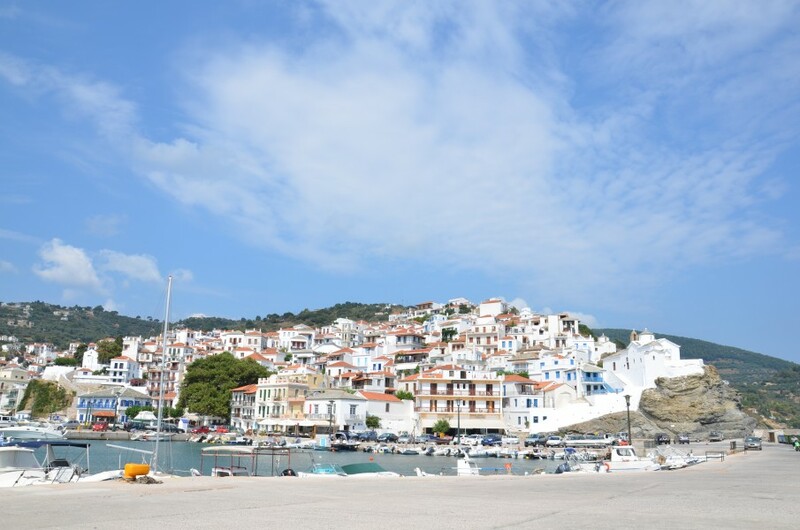 The once abandoned Old Town of Alonissos, high up in the hills, has proved quite an attraction and Kastro (fortified village on Skiathos Island), is an interesting place to spend a couple of hours. The wind in the Sporades during our sailing season is generally from the north or north east and is known as the ‘Meltemi’. It can be a lively wind at times and so this route is aimed at our more experienced flotilla sailors. The combination of the stronger winds and the flat seas on the leeward side of the islands offers invigorating sailing for everyone. 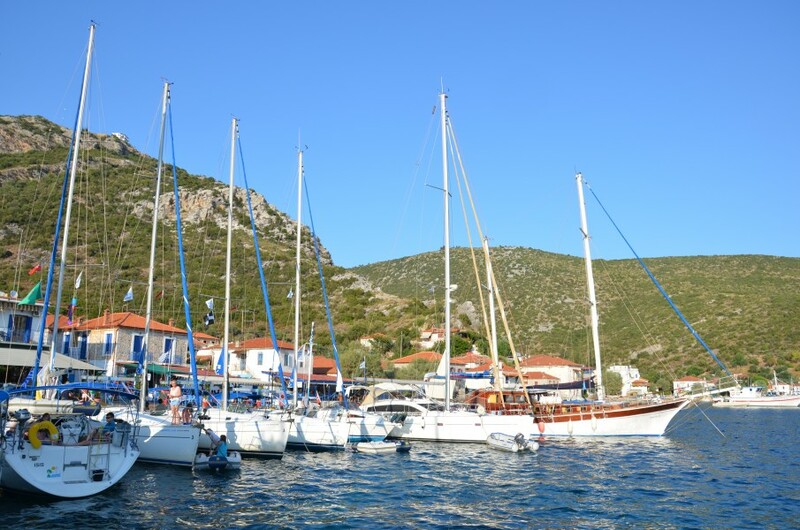 Wonderful sailing area - the Sporades. I had a fantastic time sailing to and exploring my favourite islands in Greece, and chilling out in remote and peaceful bays. The lead crew were friendly and competent. I was lucky enough to have some good shipmates on a "share a yacht", and made some lovely new friends amongst my own and other crews. Beautiful area and 361 was in good shape. Good winds, sometimes strong. No problem going off on our own. We thought the lead crew while attending to anything we asked of them, seemed a bit tired and not up to usual standards. E.g. no information on lunch stops in briefing and had to ask sometimes what time they wanted us in. Didn't ask us to text where we were when on own. Nice crew but maybe season too long for one crew there? Had a fantastic holiday, enjoyed the sailing (this was our first time). Cannot fault anything, all was fab! Have to say the lead crew were amazing. Al, Faye & Jake...... Spot on guys, you made our holiday fun & safe. Cannot wait until next year! We're hooked! 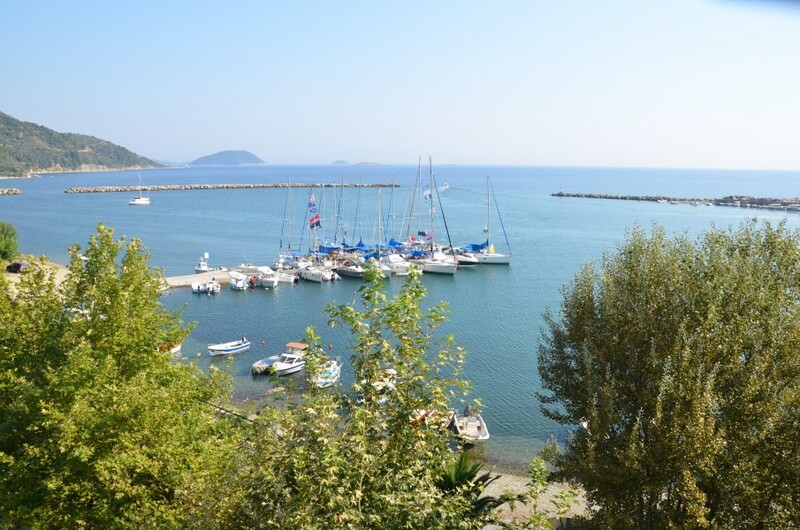 We have done all the other routes so we thought we would try the Sporades. The weather was a bit unsettled to start with but soon returned to some lovely sunny days and good winds on most days. The transfer from Athens to Evia island is a bit of a trek and takes about 4 hours from airport to being on the boat. The island stops were lovely and with a good variety but the distance between the stops is further than on the other flotillas so lunch stops had to be shorter as you had to do at least 4 hours sailing each day to make the designated destinations. The big plus on this route was the lack of other boats! There was plenty of space in all of the harbours and the harbours were easy to find and access. I enjoyed the Sporades but still think the South Ionian is difficult to better for a 'Sailing between Tavernas' type holiday. Thought you might like this photo of two of a pod of five dolphins that spent about 20 minutes with us yesterday. We were about 3 miles inside the Gulf of Volos on the last day sailing of our two week Sporades flotilla. Many thanks to Charlie, Michael and Holly for another great flotilla. Thanks also to Izzie, my 11 yr old for taking this great photo! Cheers Lead Crew Kirki...I might be back soon! Best crew ever. It was lovely to have such a conscientious crew who were good fun but still made sure they were available when needed. Locky, the fast response man, was brilliant. We needed a few repairs to the boat, and genoa adjustment and both Lockie and Charlie attended to them asap. Charlie is the best skipper we have had in 18 years with Sailing Holidays. He and Lockie have worked out a method of handling berthing for the flotilla that is geared to the capabilities of the flotilla sailors and avoids having to wait to get in. Charlie is a mine of things sailing and Lockie of things mechanical. Totally first class lead crew who really took care of us - much appreciated...Already booked for next year. This crew rates as one of the best ever! Terrific guys. They looked after us extremely well, were always on hand and cheerful, whatever difficulties anyone encountered. Loved the unspoiled and uncommercialised environment. Peaceful and charming. 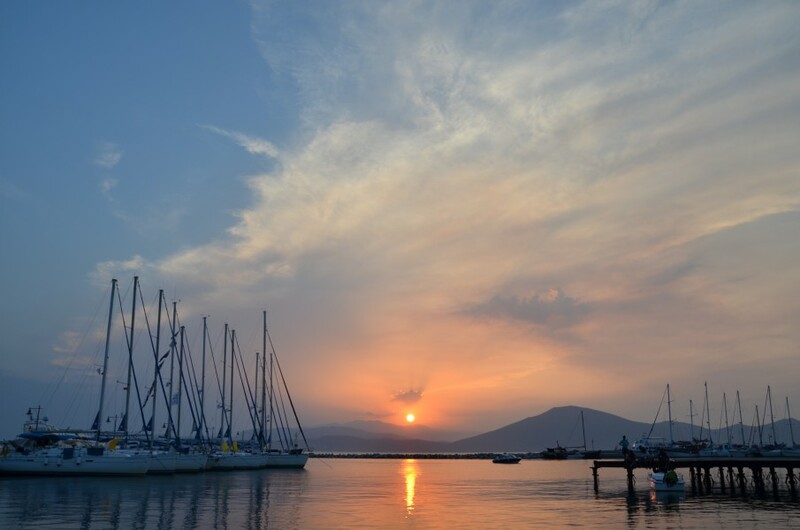 It is the friendly, informal sailing holiday approach which appeals.